Petzl is one of the largest providers of On Rope equipment in the world, with a focus on professional work safety users and the technical rescue community. 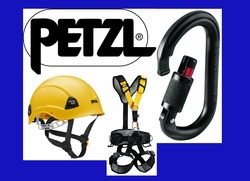 Over 70 years of experience & development have gone into the Petzl range of products. Petzl is renowned for its innovation and dedication to quality.